Sabr is an Arabic word which comes from a root meaning to detain, refrain and stop. 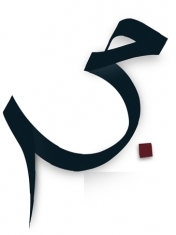 There is expression in Arabic, “so-and-so was killed sabran”, which means that he was captured and detained until he died. In the spiritual sense, patience means to stop ourselves from despairing and panicking, to stop our tongues from complaining, and to stop our hands from striking our faces and tearing our clothes at times of grief and stress. The enmity referred to in these ayat is not that which results from hatred and conflict, but that which results from love and care, that might prevent parents from religious duties such as hijrah, jihad, seeking knowledge and giving sadaqah. Allah described Ayyub as excellent because of his patience, so the person who fails to exercise patience when it is necessary will be regarded as a failure and a sinner. Allah has made patience the means for attaining His love, His companionship, His help and support, and His good rewards. This is sufficient honour and blessings. Iman is a term which covers words, deeds and intentions, all of which are based on one of two things, action or abstinence. Action refers to performing a deed in accordance with the instructions of Allah, which is the reality of gratitude. Abstinence, as in refraining from wrong action, requires patience. The whole of religion is embodied in these two things: carrying out that which Allah has commanded, and refraining from that which Allah has prohibited. It is through faith that we know reality of Allah’s commands and prohibitions, of reward and punishment, and through patience that we carry out His instructions and abstain from that which He has prohibited. A person can never come to believe in Allah’s commands and prohibitions, and in reward and punishment, except through faith, and that is truly from Allah. And we can never carry out Allah’s instructions and abstain from that which He has prohibited except through patience. Therefore patience is half of iman, and the other half is gratitude. Man has two powers, the power of doing and the power of abstaining, which control all his behaviour. So a person will do what he likes and abstain from what he dislikes. The whole of religion is doing or abstaining, carrying out the instructions of Allah or abstaining from that which He has prohibited, neither of which can be accomplished without patience. The Prophet (peace be upon him) used to pray: “O Allah, I have surrendered my soul to You, and turned my face to You. My (own) affairs I commit to Allah and I seek Your protection, in hope of You and in fear of You” (al-Bukhari). So the believer is the one who is both hopeful and fearful, but hope and fear can only be based on the foundation of patience: fear should make the believer patient, and his hope should lead to gratitude. Any action done by man is either beneficial or harmful to him in this world and the next, or else it is beneficial to him in one world and harmful to him in the other. The best course for man is to do that which is beneficial to him in the Hereafter, and abstain from that which is harmful to him in the Hereafter. This is the reality of iman: to do what is good for him, and that is gratitude; and to abstain from that which harms him, and that is patience. Man is always in a situation where he has to carry out an instruction from Allah, or avoid something which Allah has prohibited, or accept something that Allah has decreed. In all cases, he has to face the situation with patience and gratitude. Carrying out Allah’s instructions is gratitude, and abstaining from prohibited things and being content with the decree of Allah constitutes patience. Man is constantly being pulled in two opposing directions: should he respond to the lure of this world of desires and pleasures, or should he answer the call of Allah and the Hereafter, with the eternal Paradise that Allah has prepared for His friend (wali)? Going against the call of whims and desires is patience, and responding to the call of Allah and the Hereafter is gratitude. Man is required to work according to the truth, both by himself and with others, which is the reality of gratitude, but he cannot do that without patience, therefore patience is half of iman. And Allah knows best. Patience both for the sake of Allah and by the help of Allah. A person will have patience by the help of Allah for the sake of Allah, realising that he has no power of his own whatsoever. This is the highest degree of patience. Patience for the sake of Allah but not by the help of Allah. Such people may want to have patience for the sake of Allah, but they are not actively seeking His help, and their trust and reliance (tawakkul) is weak. Such people will have a good ending, but they are weak and cannot achieve most of what they want to achieve. This is the situation of a sincere but weak believer. Patience by the help of Allah. Such a person seeks Allah’s help and puts his trust in Him, admitting that he has no power or strength whatsoever, but his patience is not for the sake of Allah, as his patience is not for reasons of faith. This will achieve his aims, but his ending may be the worst. An example of such people are the leaders of the kuffar and the followers of the Shaytan, as their patience is by the help of Allah, but is not for the sake of Allah. No kind of patience whatsoever. This is the lowest degree, and a person of this type deserves all sort of failures. Those who have patience for the sake of Allah and by the help of Allah are those who are strong and achieve much. Those who have patience for the sake of Allah, but not by the help of Allah, are good people, but weak and helpless. Those who have patience by the help of Allah, but not for the sake of Allah, are capable, but evil. Those who have neither patience for the sake of Allah nor by the help of Allah are doomed to failure.